his is probably the last time the city will be part of the Farmersa�� Market series by Karen Anand. And no, shea��s not taking it off her annual plans, but only rebranding it next year to suit the general profile of the marketplace. In fact, shea��s often been asked why the event is called a a�?farmersa�� marketa�� when there arena��t only farmers selling their fare. a�?If you look at farmera��s markets in Europe, they dona��t only sell food products. People sell clothes, accessories, and plenty of other things at these marketplaces. Thata��s what the Farmersa�� Market series is about a�� to promote local produce of all kinds. In fact, I also intend to bring things like interesting crockery etc. in the future. And we are looking at rebranding the event and calling it Taste and Living next week,a�? Anand explains. But thata��s next year. 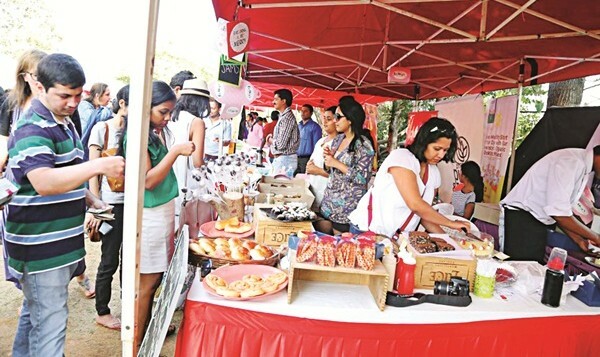 This year, wea��ll get to check out some of the old favourites (this is the third edition of Bengaluru Farmersa�� Market), as well as check out some newer vendors as well. Therea��s Raw Pressery with their cold press healthy juices, Phalada Agro with organic herbs and spices, and Bonhomia, an Indian coffee company, which not only produces coffee pods but coffee machines as well. Then therea��s Earth Loaf and their artisanal chocolates (theya��re absolutely delicious), SaffronInd for saffron, Millies Vegan Cheese, and Marthaa��s farm produced preserves. And then therea��s organic chestnut and honey by Sanjeevani Organics. 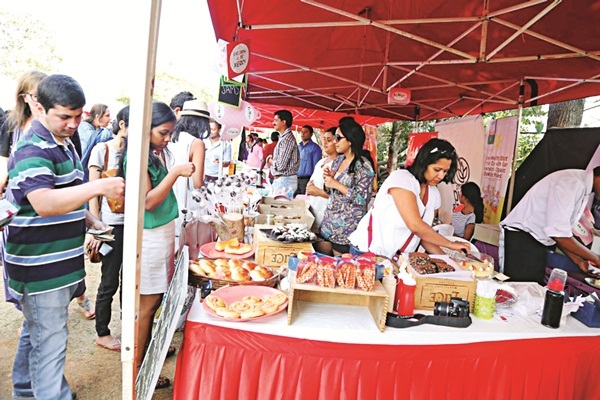 In fact, there are over 40 vendors participating in this yeara��s edition of Bengaluru Farmersa�� Market. And Anand is also launching a few of her own products in the city at this market, which includes sauces and preserves. Given that ita��s an all-day event, therea��s loads of beer, wine, and food to keep you energised. a�?We are also trying out a new venue this year. The two-day event is going to be held at VR Bengaluru, the new mall at Whitefield, and wea��re hoping to attract a new set of visitors as well,a�? Anand says, adding, a�?I would really like to see the Bengaluru edition grow beyond what it is now. With time, we will add more homegrown labels, products, and growers. Wea��ve had only two markets in the city, this being the third one, and I am sure over time we will have a lot more participants.a�?